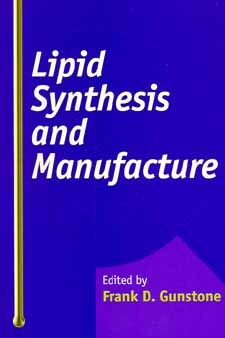 Professional Lipid Technology Book from C.H.I.P.S. Lipid Synthesis and Manufacture has been designed to offer a balanced account of the laboratory synthesis, industrial manufacture and biosynthesis of lipids. Described in this book is the synthesis of all the major lipid classes, including new and revised procedures, and there are chapters devoted to the synthesis and manufacture of vitamin E, other natural antioxidants, sugar esters and ethers, and food surfactants.